It’s hard to predict how the Brazilians will react after their disastrous, 7-1 semi final defeat to Germany. It’s difficult enough for any team to get motivated for the third place play off but after such a humiliation, Brazil are a shaken side. This penultimate game of the World Cup can often be a subdued affair: The teams involved were one step away from the biggest match of their lives but after losing out on a place in the final, few will care if they finish third or fourth. However, the nature of the match can often lead to some good opportunities in the betting. Despite that drubbing in the semi final, Brazil remain favourites to win this match at 13/10 with Bet365. The Dutch are quoted at 11/5 with Winner Sports while the draw in 90 minutes stands at 11/4 with Bet365. Holland manager Louis Van Gaal has criticised FIFA for continuing to play the game and it’s believed that he will make wholesale changes to the side that lost in the semis to Argentina. With that sort of attitude, he may be handing the match to an admittedly downbeat Brazil. Even before they crashed out at the semi final stage, neither side was showing any real form in this tournament. The Netherlands needed penalties to edge past Costa Rica and seemed to be settling for spot kicks as the only way to beat Argentina. Meanwhile, many of us were unconvinced by Brazil’s performances throughout the tournament and while the size of the defeat to Germany was a complete shock, the fact that they lost was no surprise. Form is therefore bad in both camps but while Van Gaal doesn’t even want to play the game, Brazil may see this as a chance to regain some pride following their semi final humiliation. Changes are expected on both sides so it’s a little tough to identify a key man. For Holland, Klaas-Jan Huntelaar should get a start and he is a prolific striker at this level. Huntelaar is quoted at 11/5 with Winner Sports for an anytime goal and is our tip in a market where Robin Van Persie is the favourite at 7/4 with Ladbrokes. Brazil are without Neymar again and Luis Felipe Scolari faces a tough decision on his strikers Fred and Hulk, both of whom received huge criticism following that defeat to the Germans. Former Everton centre forward Jo is the only real alternative and he is priced at 9/4 with Ladbrokes to score in 90 minutes. The match itself should be decided in midfield but does Scolari play star man Oscar, who was visibly distraught at the end of the previous match? 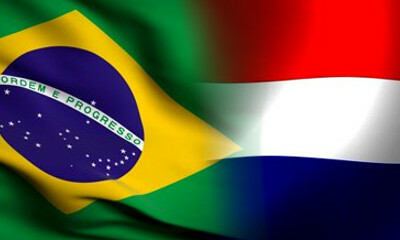 This is the area where Brazil can overrun an unfamiliar Dutch team but the manager has to choose his personnel wisely. Overall, Brazil hold the key to this game and it’s all about how they react to the Germany thrashing. Do they, as most teams do, regard this match with disdain or do they try to recover and help their fans to get over that humiliation in some way? The Brazilians should be the stronger side and as they have more to play for than the Dutch, we’re tentatively backing the host nation for the win in this fixture.